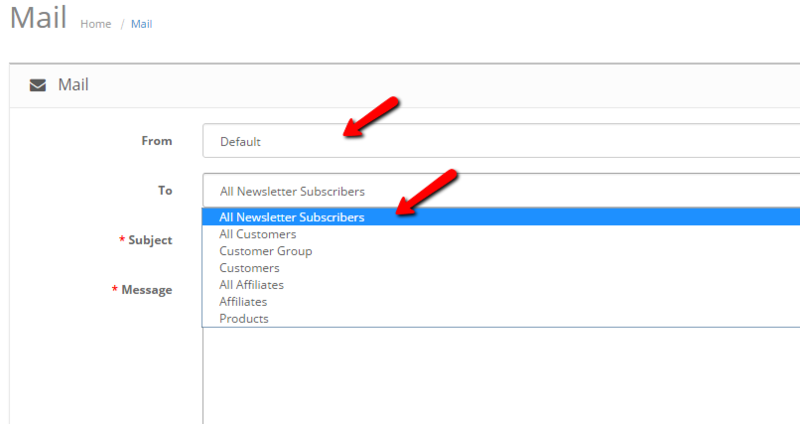 How to send newsletters and marketing emails via OpenCart 2 interface. OpenCart 2 provides you with an easy-to-use interface to send promotion, marketing and mass mails to your subscribers and clients. Be advised that you might consider configuring your OpenCart 2 mail settings before sending your first mailing campaign. This will greatly improve your mails delivery rate and avoid having your emails delivered as spam. To configure your SMTP settings, please follow our tutorial on How to configure OpenCart 2 SMTP settings. 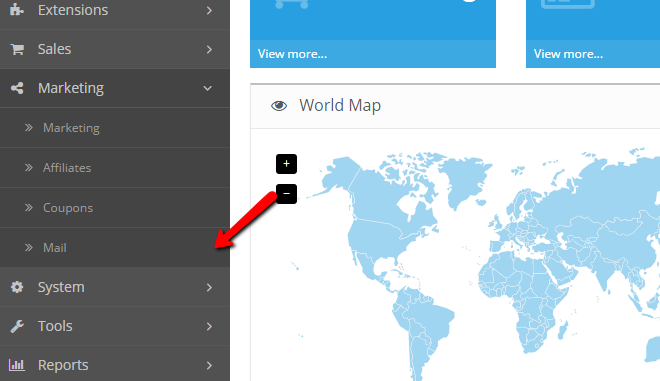 To access the mail section of your OpenCart 2, please login your store admin area and navigate to Marketing>Mail. Via the Mail page you can select the From: field of your mass mail and the target group of your campaign. Additionally, you should input your email subject and the mail body. When you are ready to send your mass mail, please click on the Send button.